A photo and video blog about my travel experiences with food mixed in with some art and culture. Eat, Drink & Be Merry! 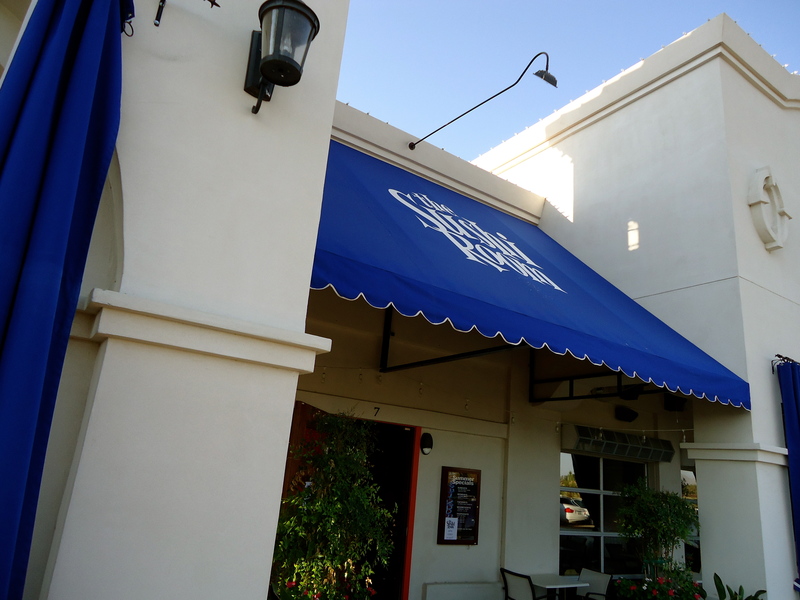 Heritage Marketplace in Gilbert includes restaurants like Even Stevens, Farm & Craft, Clever Koi, Nico Heirloom Kitchen and candy store Rocket Fizz. 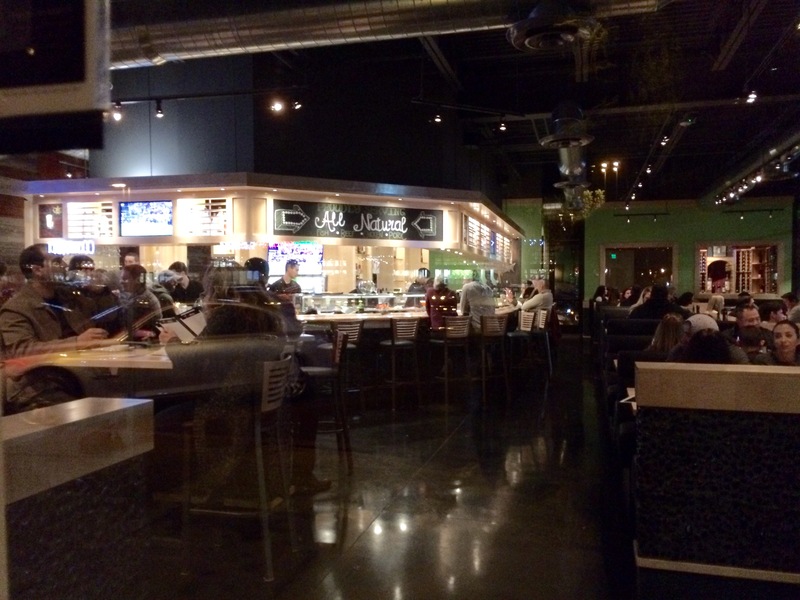 Sushi Brokers is one of their newer tenants. 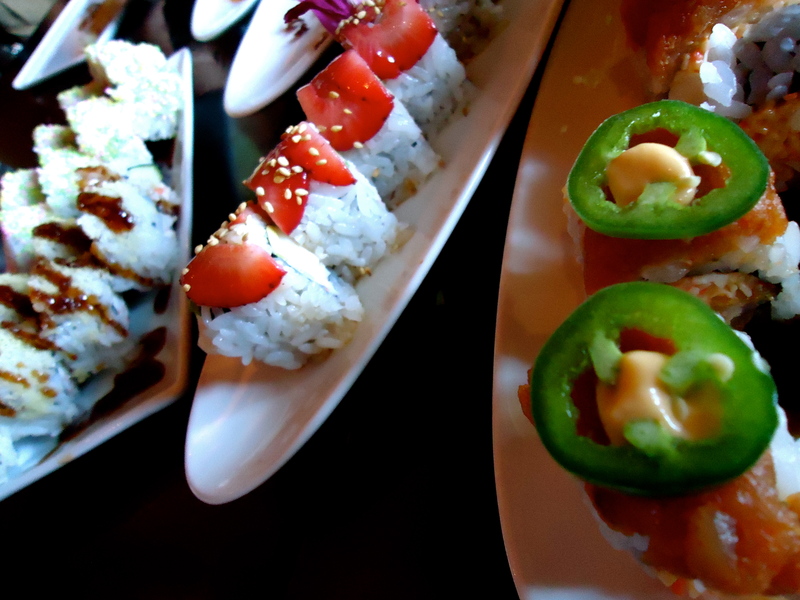 Sushi Brokers has locations in Scottsdale and Phoenix and offers a huge selection of sushi, vegetarian fare and dishes comprising seafood, chicken and beef if you are not into sushi. 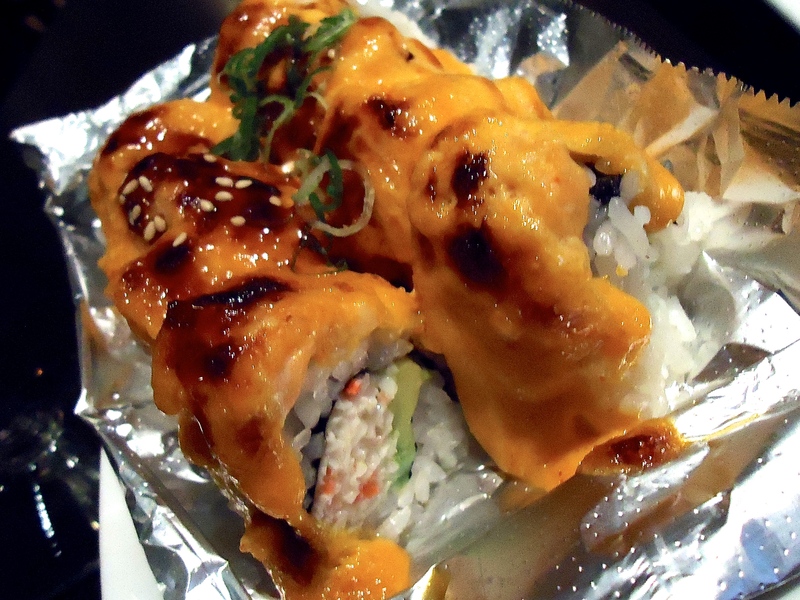 They have over twenty creative sushi rolls on their menu. 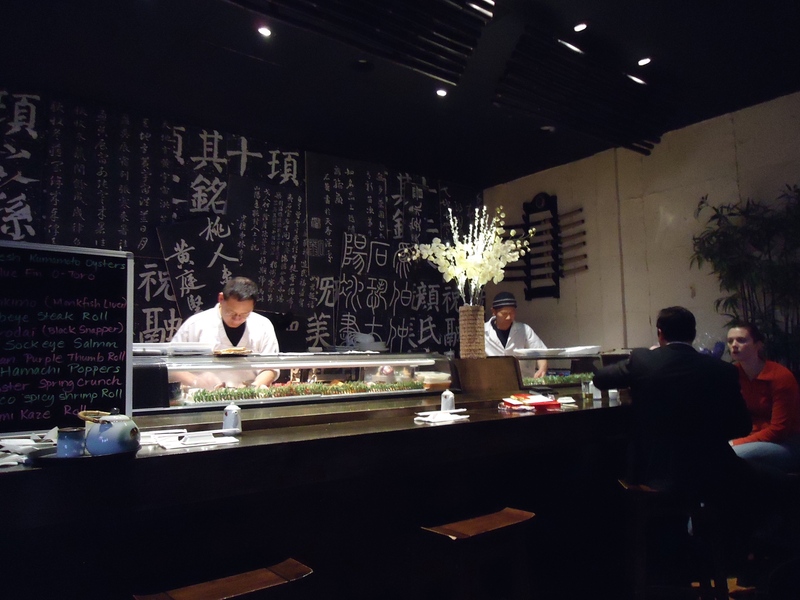 They also have a nice selection of wines, draft and bottle beers, sake, and a large array of imported and domestic Vodkas. 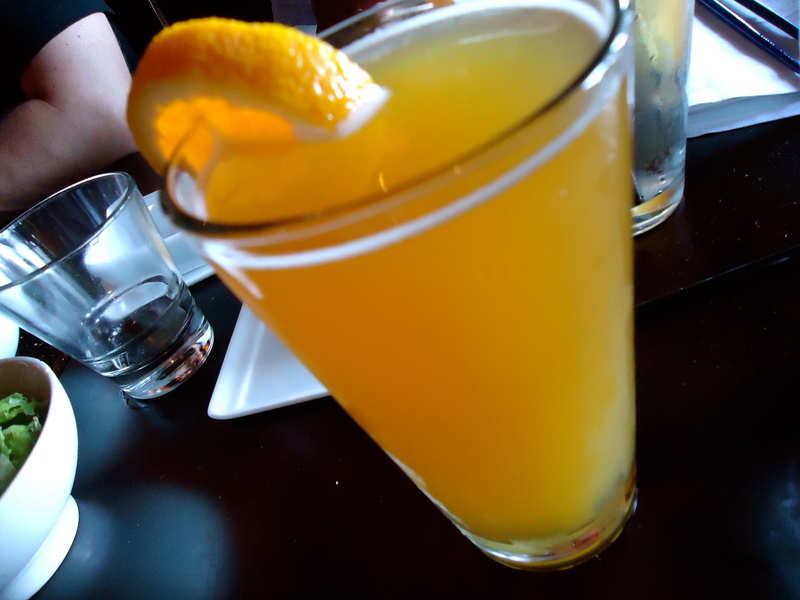 Their happy hour is what makes them so popular as they discount their prices on sushi and drinks. I came here with a buddy after an evening at the neighboring Art Intersection. We ordered quite a bit of rolls and drinks. The sushi wasn’t bad but definitely pretty pricey compared to most places. I may come back again for happy hour. Man I got some great brothers in Christ to do life with. 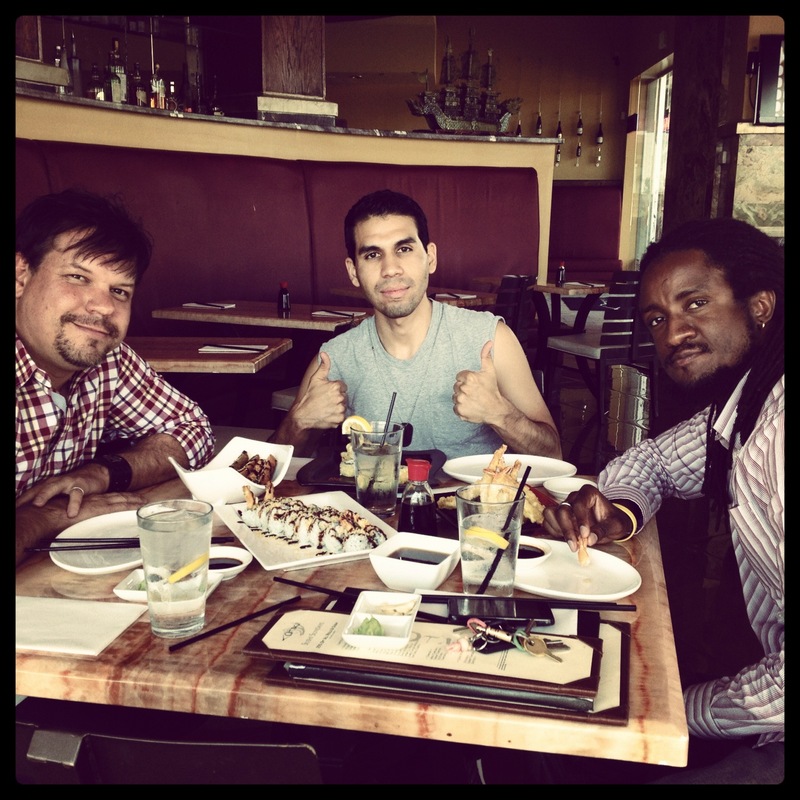 We had lunch after church at Otaku and tore up some great sushi. 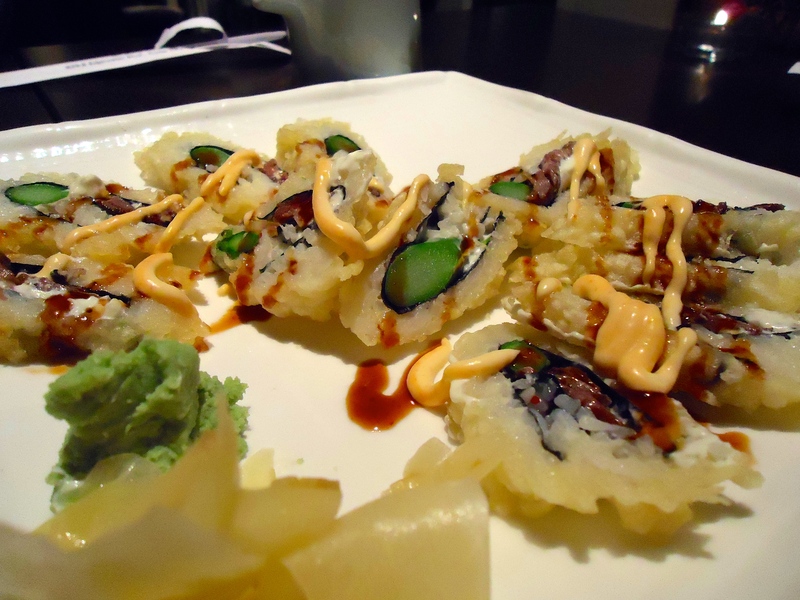 Otaku comes from a Japanese polite second-person pronoun meaning “your home.” We got the Tootzy roll (Shrimp tempura, crab mix, cream cheese, cucumber topped with crunchies and eel sauce), the Golden California roll with some Stuffed Jalapenos and Shrimp Tempura. It was a great lunch sharing about each others lives, giving each other advice and holding each other accountable. 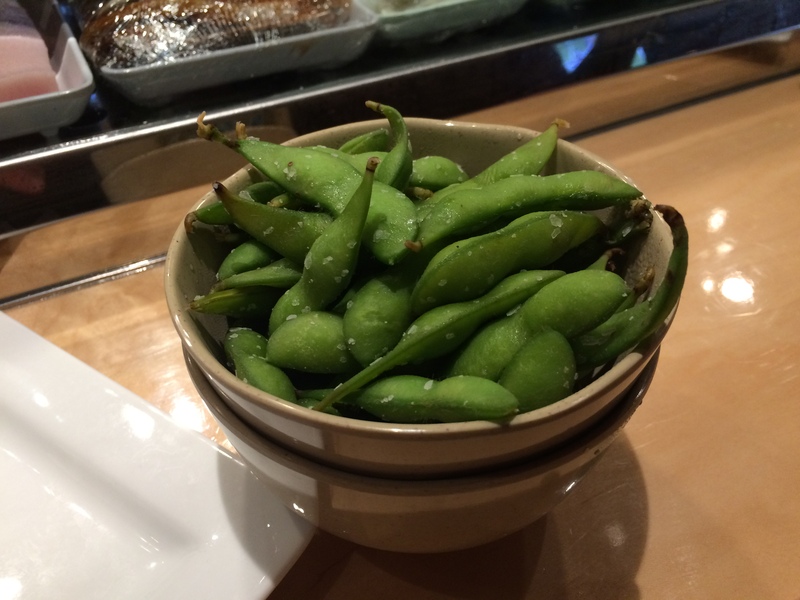 I made my return to the Sushi Room with some solid friends in my life. You can read about my review of this place here. 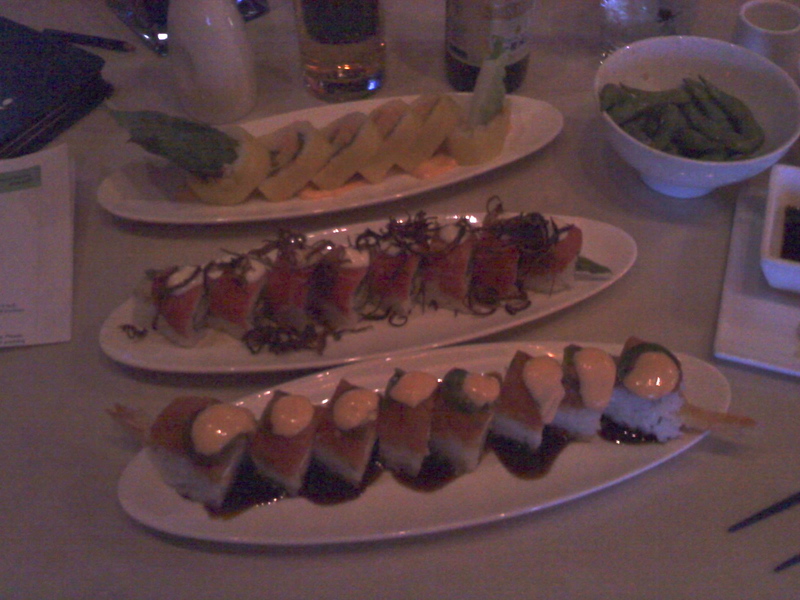 Calvin, Xavier and I ordered some Blue Moons and went to town on some awesome sushi. We had a great time sharing about our lives and talking about how amazing God is and what he is doing in each of us. I’m really thankful for these brothers in Christ. 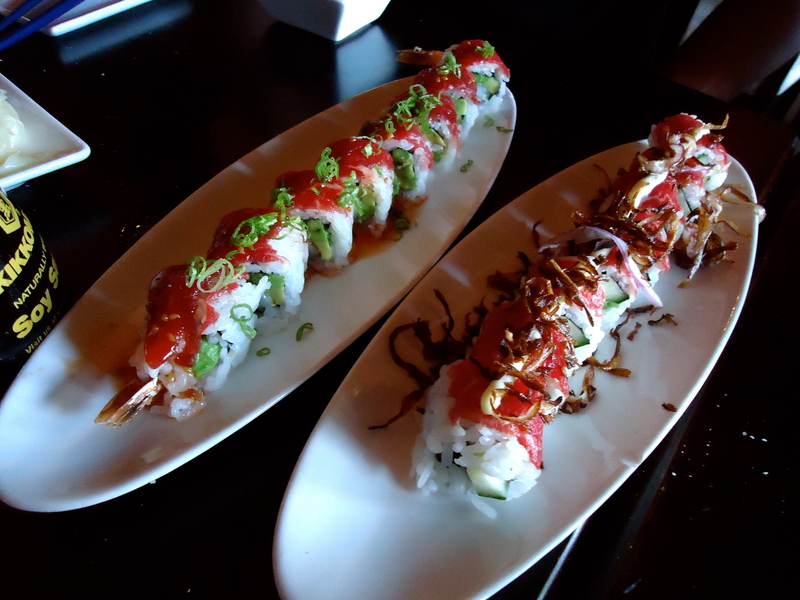 Some of the specialty rolls that we ate were the K.I.G., the Hawaiian, the Surf n’ Turf, the California special, and the Truffle Steak. I spent Valentine’s Day evening with my good friend Candace. 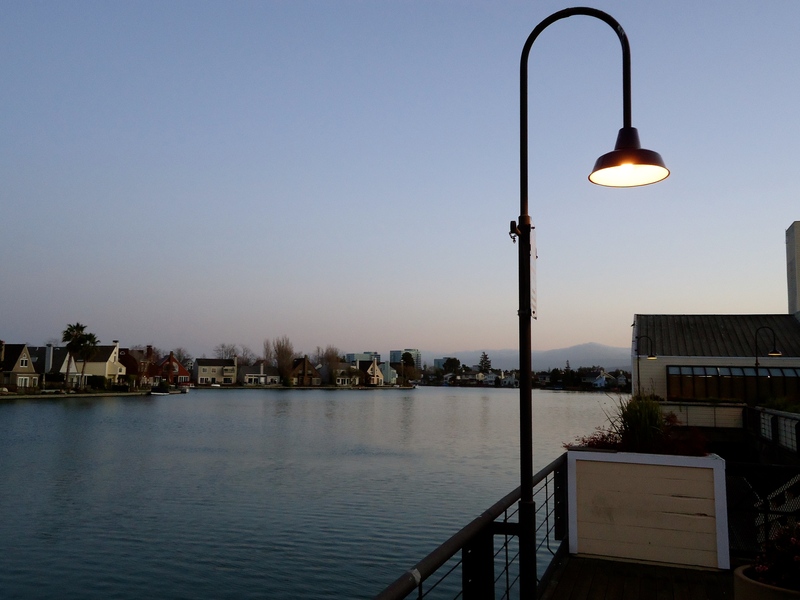 I’m staying with her here in Foster City and she has taken me all over San Francisco. 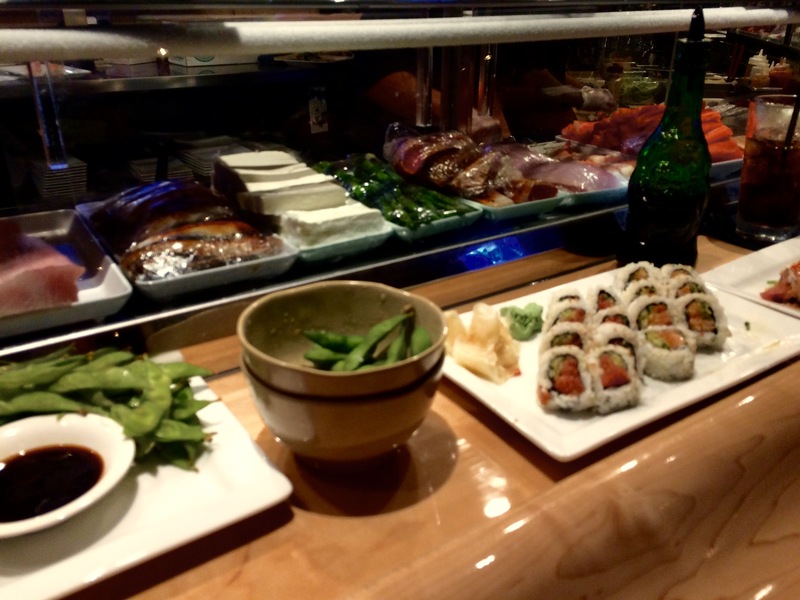 Tonight we were feeling sushi and she took me to a place she love’s – Kobe Japanese Cuisine & Bar. 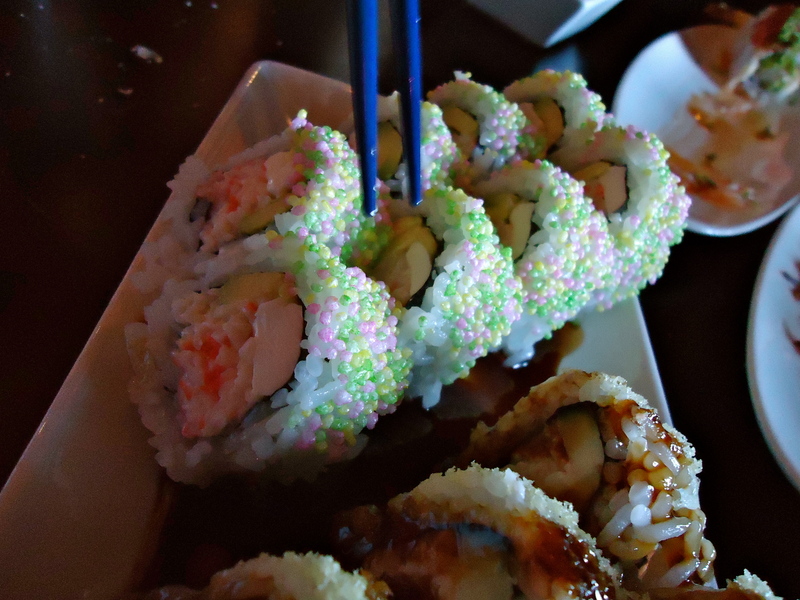 The sushi here is amazing! 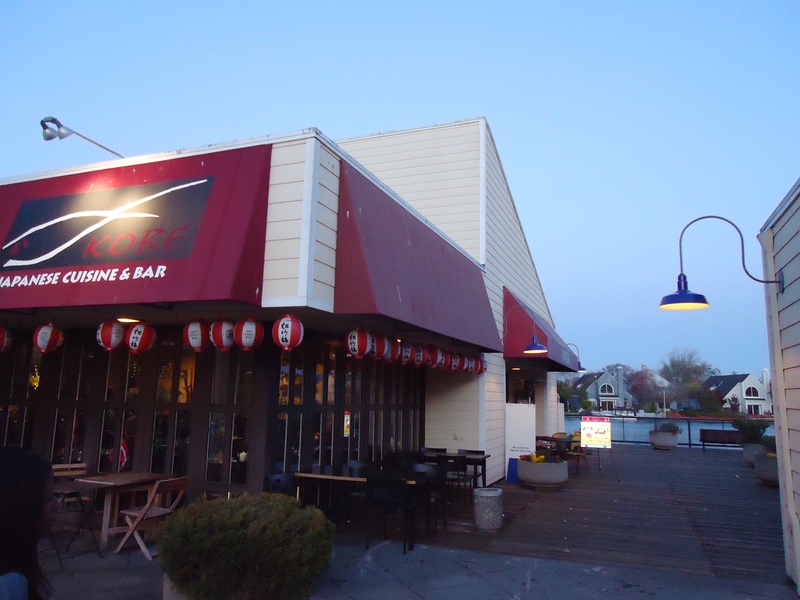 Kobe is located in the Edgewater Place shopping center next to beautiful Central Lake. 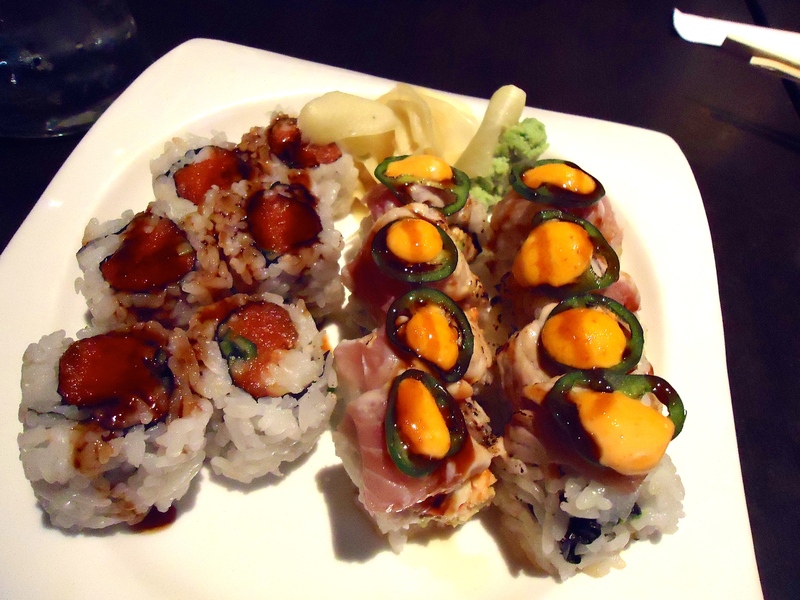 We ordered a Spicy Tuna Roll, Ring of Fire Roll, Ribeye Roll and the amazing Volcano Roll. What a great dinner to cap off a fun day! 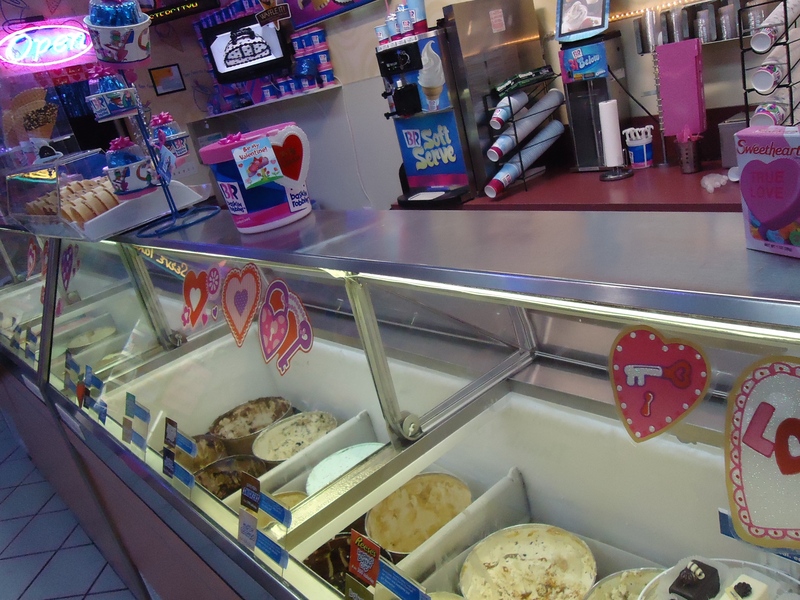 Afterwards we hit Baskin Robbins for some yummy ice cream! 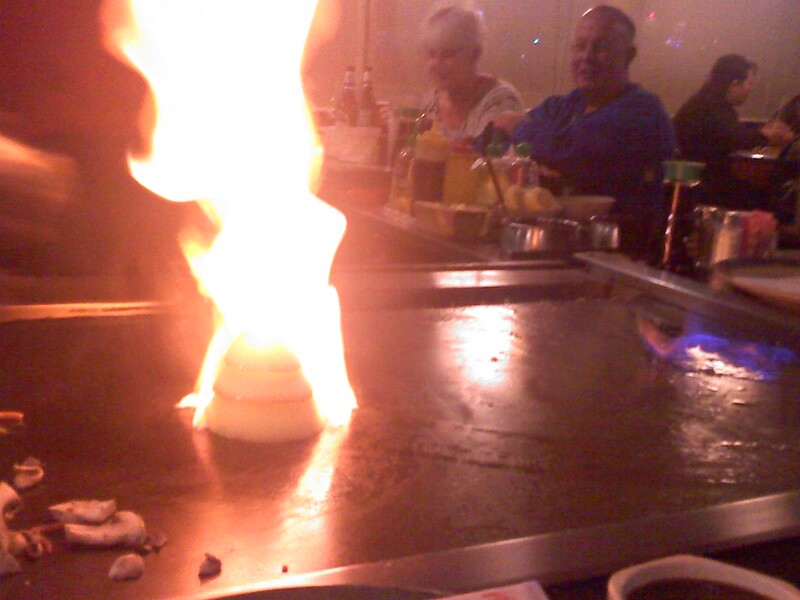 I had a fun night at IchiBan in Mesa (I like to call it itchy buns..) for Kim’s birthday. Steve got together quite a few people for the teppanyaki party around the grill. I haven’t been here since my saki bomber days in college. 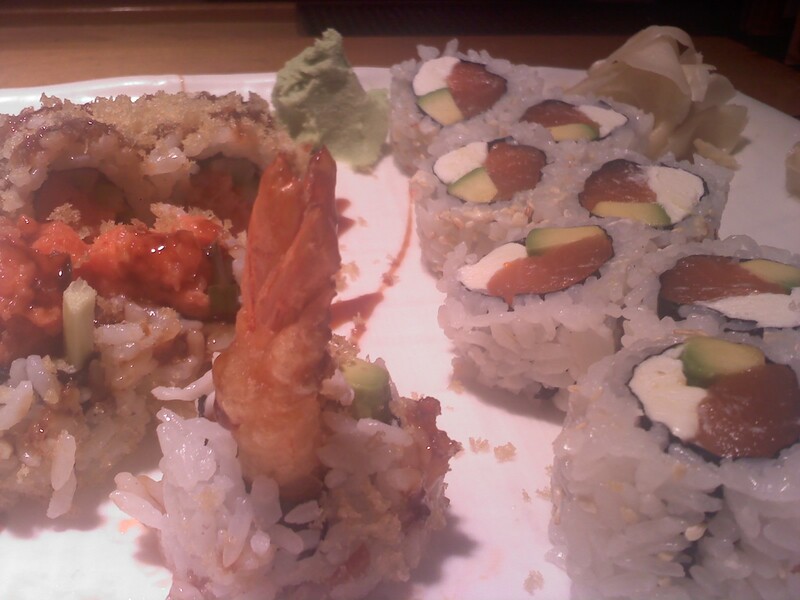 I had some sushi, tempura and beef. 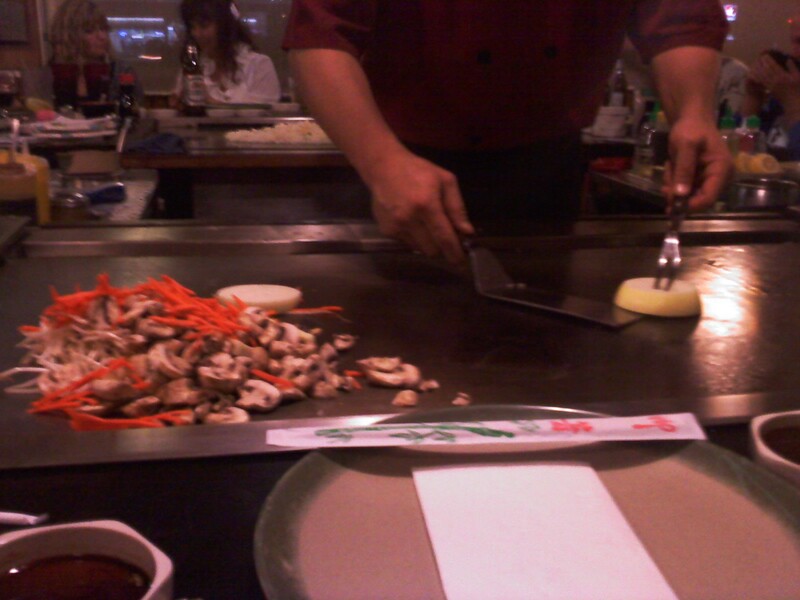 The food was pretty good, but only one waitress for the whole restaurant. She was definitely running all over the place like crazy. But we all had a good time and the show was fun. 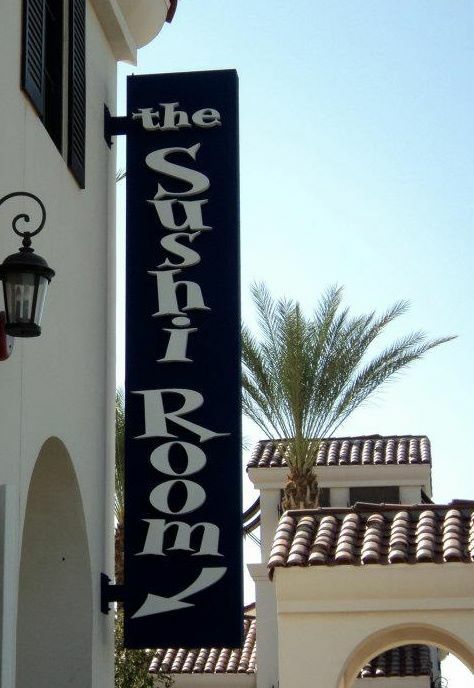 Tonight I visited the Sushi Room in Chandler. Head chef Joseph Chun just recently opened this new establishment next to his widely popular Living Room restaurant next door. 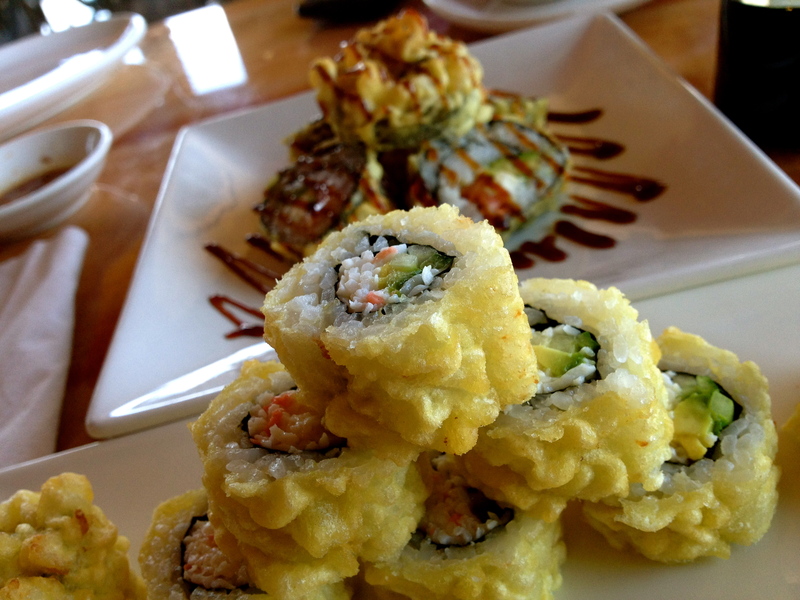 The Sushi Room menu carries traditional sashimi and rolls, but with a European influence. I ordered three rolls off their specialty roll menu. 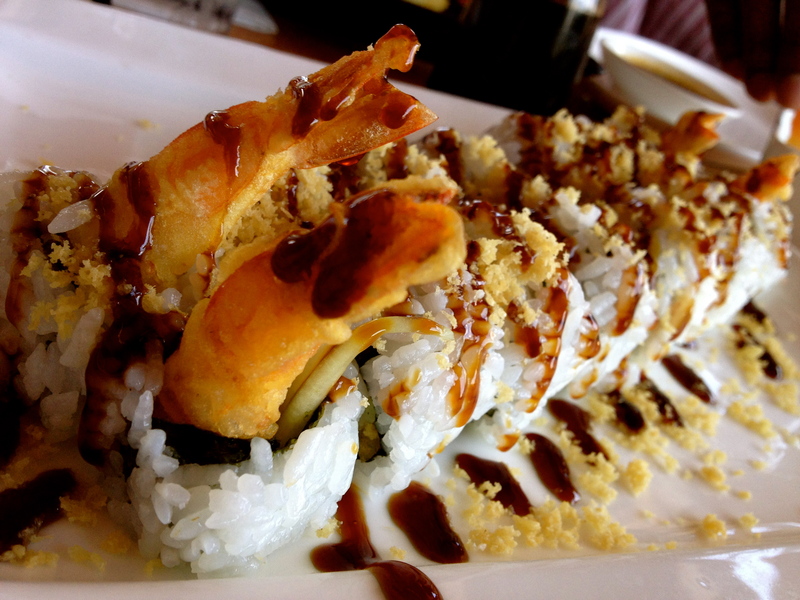 The K.I.G includes jumbo shrimp tempura, spicy crab, cream cheese, topped with spicy tuna and jalapeños. The Truffle Steak contains asparagus, avocado, cucumber, shrimp, topped with seared beef, truffle aioli and fried onions. 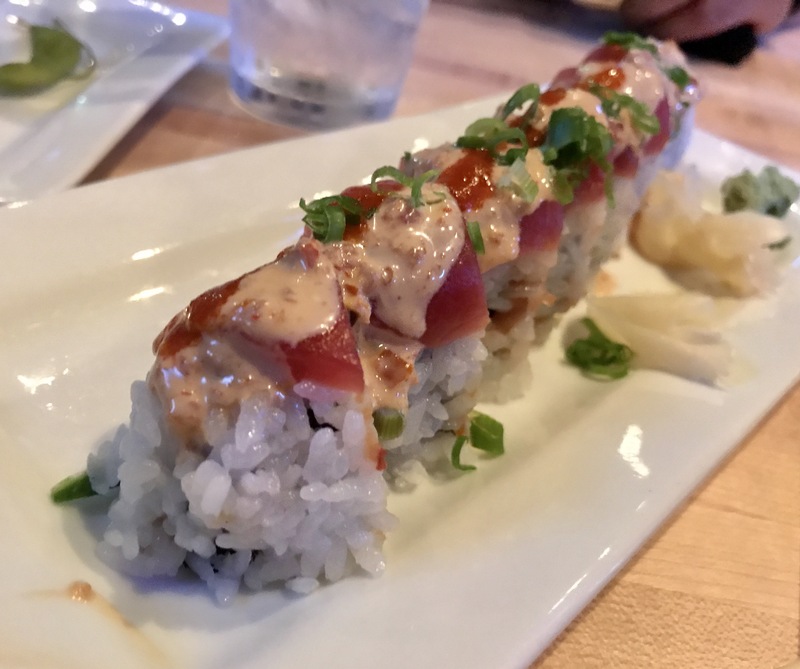 And the Chandler roll is a roll with spicy tuna, spicy crab, avocado, masago, romaine lettuce, wrapped in soy paper with spicy aioli. All three were delicious. 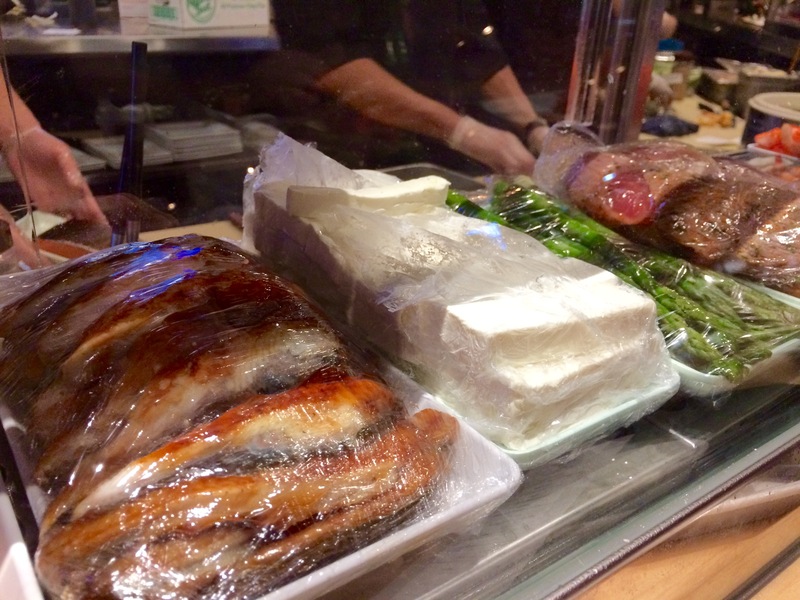 My buddy ordered a butterfish plate with asparagus that was absolutely amazing. 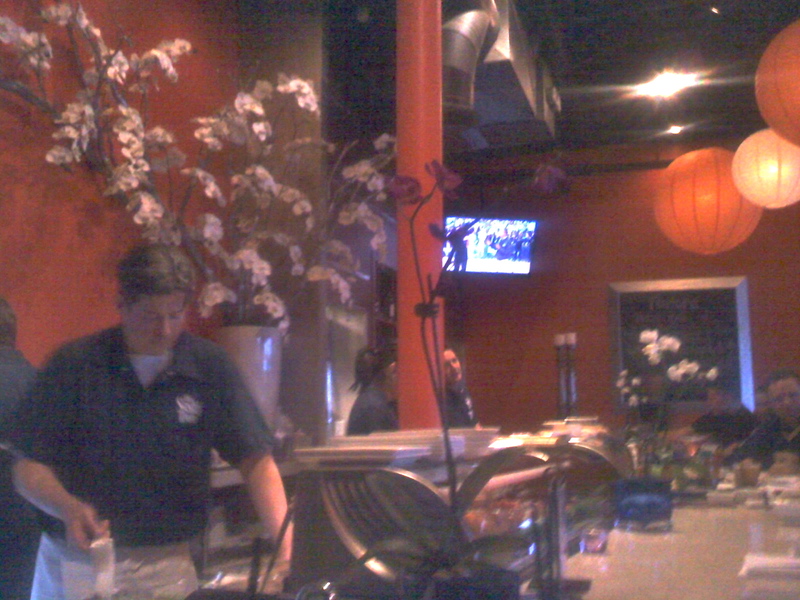 There’s a great atmosphere to the Sushi Room as this local area has become a hot spot for Chandler residents. The happy hour has great prices and I look forward to trying this place out in the future. I guess this was bound to happen to us. 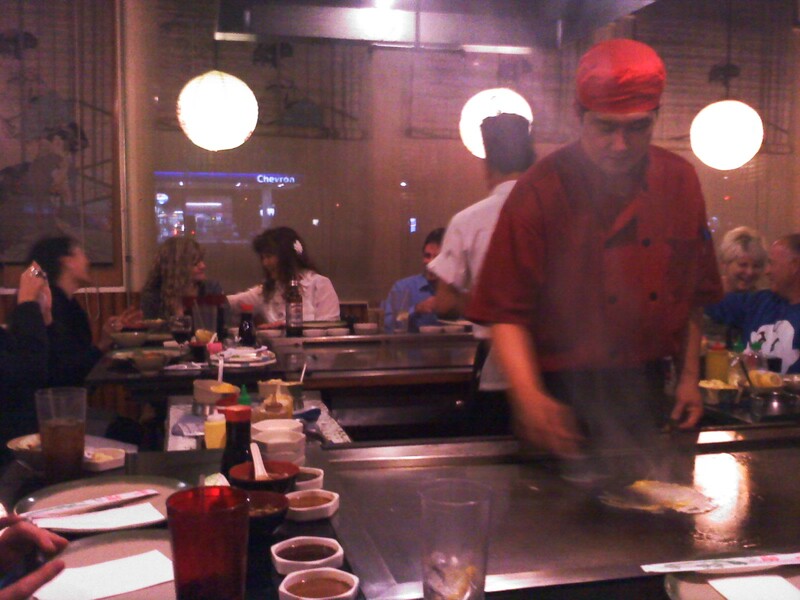 Christin and I ate at Hon Machi in Chandler for dinner. I have walked by this restaraunt so many times and finally grabbed a living social deal to it. 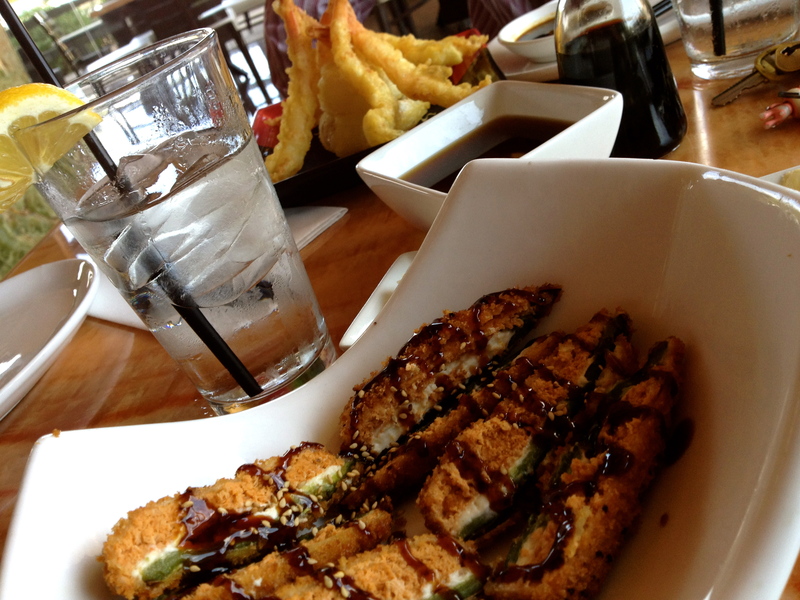 I was really craving sushi that night. I’m not much into writing bad reviews, but these guys didn’t have it together that night. 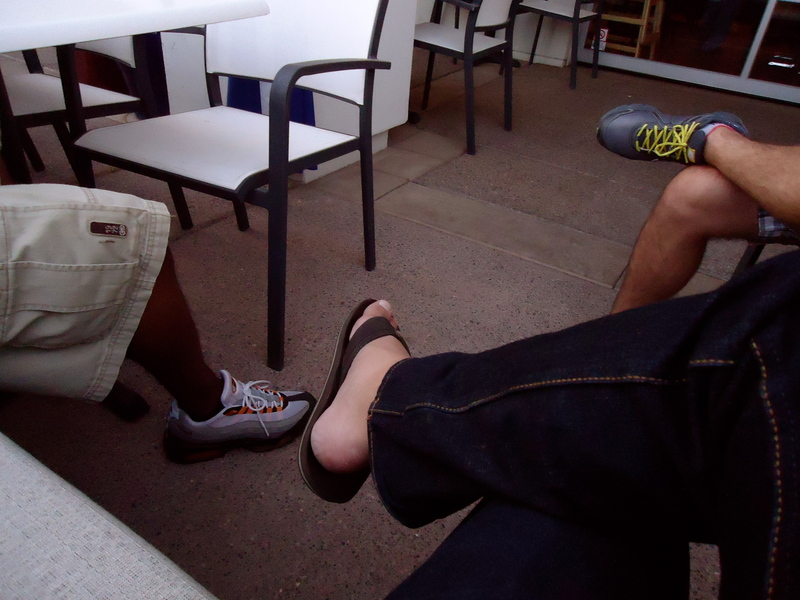 We were there for over 2 hours waiting on our food and the check. 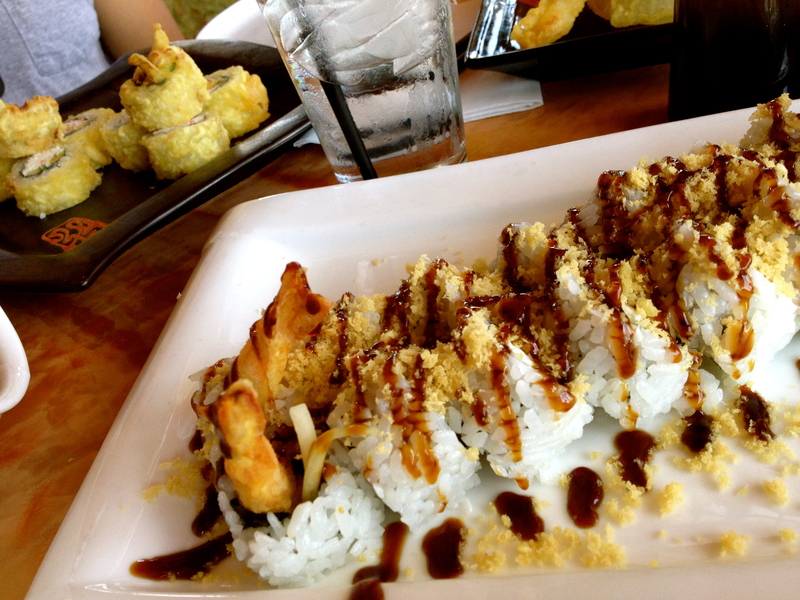 It was pretty bad.. but the sushi was great! Hopefully they get their act together. Too good of food to be wasted away on bad service.